Back in the early days there were just four people on the Stage 5 crew .. Russell Brace, Sherry Merry, Bob Ennis & Steve Keen. Through the years we have added crew members to help with the work as it became more and more difficult to make it happen with just the four original members of the crew. Additionally, due to life changes and circumstances, some of the original crew no longer are able to attend the festivities. One of our crew members is here because he just wanted to a part of what was happening and was around helping so much that we made him an official crew member. So the present crew now consists of .. Owners – Russell & Sherry Brace, Craig & Gwen Barber, Bob Dorman, Bill Hoy, Kirby & Dulcie Guinty, Art Charlet, Curt & Dee VanBoening, and Kenny & Christy Chavez. The assembled crew comes from Kansas, Oklahoma & Texas. 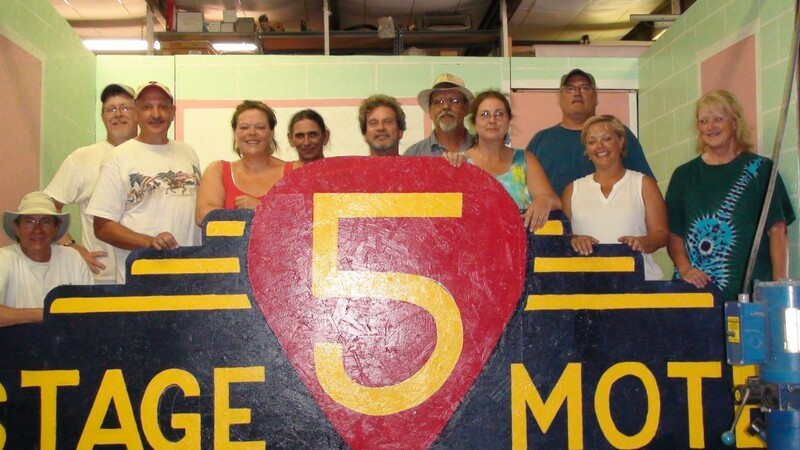 Throughout the years our crew has changed and as situations change we strive to bring on crew members with a heart for the mission of Stage 5 and a heart for acoustic music. From the beginning we have been blessed with the generous amount of emergency help from folks who camp nearby when we need an extra hand … to all of you (you know who you are) we so appriciate your willingness to help when we call. Curt, Craig, Kenny, Christy, Bob, Bill, Kirby, Dulcie, Russell, Gwen, Sherry.